This is a tested working, used, clean, HP Scorpius N10P Nvidia GeForce GT 230 1GB MXM Video Card. HP Omni 200-5350jp (Matadi) 1C1 JPN2. HP Omni 200-5350xt CTO Desktop PC. HP Omni 200-5380qd CTO Desktop PC. 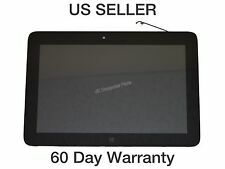 HP Omni 10 tablet Complete Touch LCD Assembly. Assembly includes digitizer and LCD. No one is EVER ignored! ALL PRODUCTS ARE MARKED WITH SERIAL NUMBER AND QC BADGE. 1ICP4/73/131-2 P/N HP011304-PLP21G01 CD02. 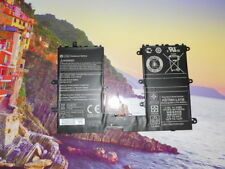 NEW GENUINE OEM HP Pavilion X360 11-K Battery 7.6V 32Wh 4050m HV02XL 796355-005. Grade D: Only good for parts or repair (see notes above). This item was pulled from a new machine, fully tested in working order. HP Omni 10 5601TW Tablet Motherboard. No accessories are included with the motherboard unless otherwise listed. ALL PRODUCTS ARE MARKED WITH SERIAL NUMBER AND QC BADGE. No one is EVER ignored! hp omni 10 LCD Assembly. Condition is Used. Shipped with USPS Priority Mail. In great condition, just a bit smudged. Hp Omni 10 Rear Cover. Condition is Used. No major cosmetic damage, some minor scuffs. HP Omni 10 Tablet Motherboard. Condition is Used, and sold as-is. Shipped with USPS Priority Mail. Actual item for sale is shown in the pictures. HP Omni 120 AIO 20", AMD E-Series Dual Core E-450 APU 1.65GHz, 2GB RAM, 500GB HDD, Windows 10, All-In-One. Why Buy From Us?. Corners look good with no major dings or dents. HP Omni 10 5600us Tablet PC. The product details (appearance, label, Plug) may vary due to the different production batches. Output: DC 12V 24W. Input: AC 100-240V, 50-60Hz. General Interest. This product is good for the following Models and Part#. 100% compatibility with the original. We stand behind our quality products. 500GB Hard Drive. One (1) HP Omni Pro 110 All-in-One 20" Display. Windows 10 Professional Installed. Windows 7 Professional COA. What you get. UniGrip Case for the HP Omni10 10" Tablet. Built In stand for viewing movies or typing. Made for the HP Omni10 10" Tablet. Textured PU Leather Case with microsuede interior lining. New HP Omni 10 Tablet PC European Origin AC Adapter 18W WAD007 F2L66AA#ABB Brand: HP Part Number: F2L66AA#ABB MPN: 746062-001, 740478-001, 735978-004 Model: WAD007 Description: New HP Omni 10 Tablet PC European Origin AC Adapter 18W WAD007 F2L66AA#ABB Type: AC Adapter Origin: European Power: 18W Compatible Model: HP Omni 10 Tablet Condition: New This item will be Shipped exactly as shown in the picture. Capacity: 8250mAh. Omni 10 5600eg. Omni 10 5600us. Pro Tablet 610. Pro Tablet 610 G1 10.1". Tablet 610 G1. Battery Specifications: CS-HPT610NB. Part Number. This is from a HP Omni 10 5600US Windows tablet with a cracked digitizer. This has been tested as good and working.